This measure, pointed out by the portal Diario del Triathlon, is due to the program developed to achieve 'marginal gains' in the performance of cyclists. 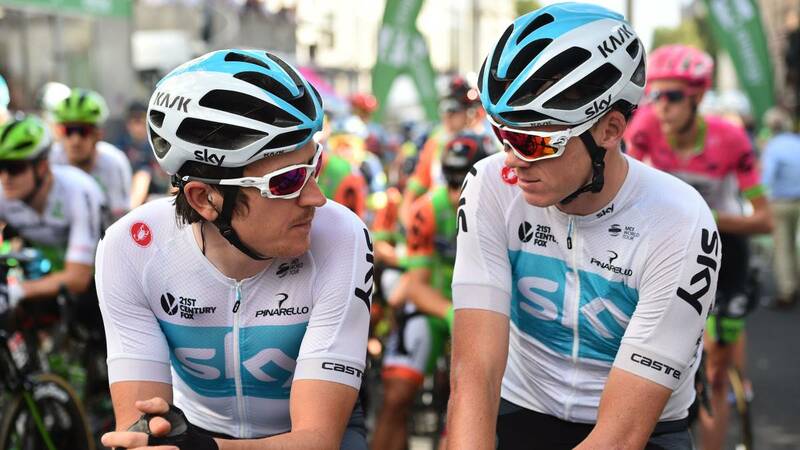 In the last months, numerous news about a possible tense relationship between Geraint Thomas and Chris Froome within the team Sky has come to the scene. In an interview given in The Guardian, Thomas said that he became frustrated with the difference of treatment he had towards him and towards Froome in the last Tour de France, although in statements to As during the last Volta to the Comunitat Valenciana he confessed that "If both of us are honest we will not have any problems" . The Diary of Triathlon portal points out that Froome and Thomas do not shake hands because of a ban on the team ... although it has nothing to do with the previous statements, but purely for reasons Sports This website points out that Froome and Thomas do not greet each other, but clench their fists, thanks to the policy of "marginal earnings" established by the team manager, Sir Dave Brailsford, in order to avoid possible contagion. This portal aims that other of the measures introduced by Brailsford in the team is the cleaning of hands with a special cream to avoid infections between them, the use of pillows on trips to rest better. In addition, each clothes is washed in a different washing machine. The kits have also been an issue related to the marginal gains, ya since the Sky used an aerodynamic fabric (Vortex) in his garment during the initial time trial of the Tour de France 2017.